Please complete your full name and address so we can post out the pack to you. We will also send a copy immediately by email. 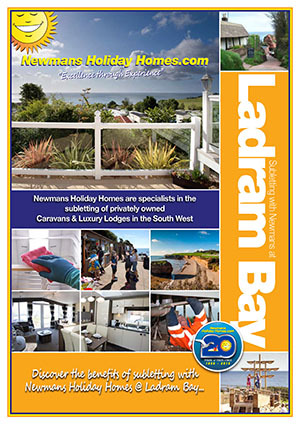 Newmans has been successfully letting holiday homes across South West caravan sites for over 20 years, consistently delivering excellent returns for our customers. At Newmans, we have the experience to get you up and running quickly, and will guide you through our simple set up process. We can provide advice and examples of profit forecasts tailored to your exact requirements and obviously a full and detailed explanation of how Newmans’ service works with a full financial breakdown. Our 24-hr booking websites allow hundreds of thousands of potential guests and returning customers to browse, compare costs and, most importantly, check real time availability in all our caravans and lodges. Your holiday home listing will feature interior and exterior photographs, all necessary information, the location on the park and the ability for guests to book instantly using a credit or debit card. No need to give notice! By logging into the Owners’ area, anytime anywhere, owners can manage their letting dates instantly. If a booking comes through Newmans, all changeover cleaning, including carpets and upholstery will be completed free of charge. Our accommodation, maintenance and subletting team are always readily available to take care of owners and guests. Don’t forget to ask about our free owner insurances ensuring worry-free subletting. We can offer complete taylor made services, so whatever your enquiry, our experienced team is here to help. Call us on 01395 224066 or click for an information pack. "Successfully letting caravans and lodges since 1996"
Contact us today! Call, email, or drop in to our Exmouth office if you are local, or in the area.